Quit Smoking Diet to reduce cravings- A recent survey on number of people, wish to quit smoking has been published with astonishing results; stating that nearly 70% of the smokers want to actually quit smoking but only 52 % of them are successful, as they often have found to be struggling with nicotine withdrawal symptoms, forcing them back on the smoker’s zone! The smoking is often associated with consumption of harmful toxins like nicotine, carbon monoxide, tar, arsenic, etc. and hence the process of lung cleansing is a very important and immediate task that has been suggested by experts. Although, this rather difficult process is generally noticed to be accompanied with mood changes, fatigue, cravings, high blood pressure and other serious issues; it has to be coupled with the consumption of healthy, detoxifying diet, mentioned below. Water is an important dietary element; which has to be endorsed for its toxin removal ability. In fact, all the toxins of the body are being flushed out through this, often underestimated supplement and hence should be consumed as much as possible to allow speedy elimination of nicotine from your body. Water can as well be consorted with a splash of lemon or fruit to allow rapid cleansing of internal toxins and other chemicals through body. When it comes to the consumption or diet; garlic cannot be anyone’s first choice, but the health benefits of this amazing elementhave been valued since years by the tradition of India. Garlic has been identified as very rich in certain minerals like allicin, Sulphur, zinc as well as calcium, which have been proven with health and beauty benefits. Literature has as well noted down garlic as the richest source of mineral selenium, with the anti-cancer as well as anti-oxidant property. This element acts as a natural blood thinner to enable proper oxygen rich blood flow, towards the important organs of the body and thus enhances circulatory health of an individual. Ayurveda and herbal medicine has supported the great medicinal properties of ginger to promote the elimination of dietary toxins, intestinal gas and as rich and natural source of anti-oxidants. Ginger can be coupled with tea to fight against cancer, support digestion and promote oxygenated blood flow; and hence has been proven to be a detoxifying agent, eliminating toxins and building immune system. Asparagus has been well known for its detoxifying effects on the body along with its anti-cancer and anti-inflammatory properties. Research has indicated that this mighty food supplement can aid in favorable liver drainage by filtering out toxins from it. Almonds, a well-known source of vitamin E is as well found to be high in fiber, calcium and magnesium. Daily consumption of almonds is suggested to remove impurities through bowels and stabilize blood sugar level to promote oxygenated blood supply. 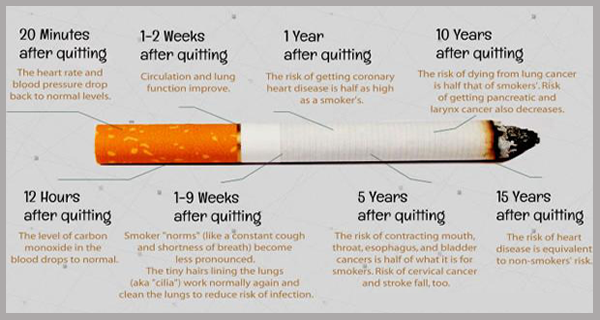 Cleansing is found to be effective in reducing smoking associated anxiety and stress level; however, cigarette smoking is found to be harmful can result in end stage damage to lungs or other pulmonary disorders; which cannot be treated with conventional medicine, but alternative treatment options like stem cells therapy has found to be very effective in the recent years.